After breathless drip, drip, drip reports that had the president practically being frog-marched to a firing squad at dawn, the fever broke. Every dog has its day, and the Washington media decided this president’s day comes once every 15 months. True to form, news outlets immediately pivoted back to their regularly scheduled programming of stories saying Trump is in imminent danger. The New York Times and ABC declared that George Nader, a Lebanese-American businessman, though a stranger to readers, is now Mueller’s hottest witness. The violent swings of the leaky pendulum make this an excellent moment to call timeout on the Mueller probe. What does he have, where is he going and when is he going to get there? Those are basic questions that need to be answered. The American people deserve facts instead of waters muddied by partisanship, innuendo and special access to biased big-media companies. Mueller’s team includes some active Democrats, and whether they are behind the anti-Trump leaks is, for the moment, beside the point. The point is that the leaks are creating a reality all their own about the investigation and the president. It’s time to clear the air of rumor and speculation and put the facts on the record. It’s not as if the public has been impatient. 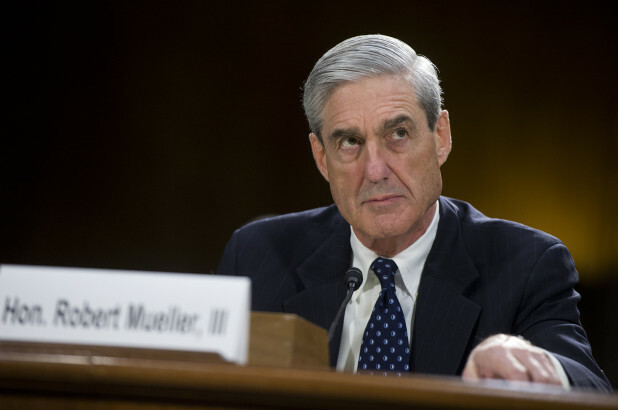 Mueller was appointed in May of last year to pick up the FBI probe started in the summer of 2016. Although there have been indictments, nothing implicates Trump in wrongdoing. Yet even the hullabaloo about whether the president will agree to be interviewed is carried aloft by leaks. Has Mueller formally asked and has Trump formally declined? Who knows? Then there’s the question of whether Mueller believes he can indict a sitting president, or whether he can subpoena Trump to a grand jury. Again, Mueller is, publicly at least, silent. Under normal rules, the Justice Department is reluctant to either confirm or deny its investigations. One reason is that mere confirmation carries a lifetime whiff of guilt. But this is hardly a normal situation. Mueller’s appointment was public and we know the president and his campaign team are being probed for possible collusion with Russia, and we know there is a possible issue of obstruction of justice over Trump’s firing of then-FBI Director James Comey. Given the stakes, the public has a right to know at this point what it all adds up to. If Mueller won’t speak for himself, his handler, Rod Rosenstein, the deputy attorney general who created Mueller, should speak for him. A concise report about where the probe stands would be enough. Mueller could make a statement, or Rosenstein could testify to Congress. Rosenstein, because he alone decided a special counsel was needed, bears responsibility for keeping the probe focused and accountable. The recent revelation that he wrote a secret memo last August expanding Mueller’s jurisdiction illustrates what’s wrong with the secretive process. Even at this late date, about two-thirds of the memo was redacted. The blackout reeks of arrogance, as if Mueller and Rosenstein believe that whatever they decide will be passively accepted by the public. They act oblivious to the fact that most of the country is suspicious of the FBI because of the clear politicization of law enforcement during the 2016 election. And the stonewalling of Congress over documents only adds to the distrust. The endless leaks are the final straw. Democracy is undermined by ostensible bombshell stories that cannot be evaluated for their credibility. Anonymous sourcing defeats any effort by readers to draw conclusions about a story’s credibility based on the motive of the sources. If, for example, a story criticizing Republicans comes from Democrats, we can ascribe a partisan motive. That doesn’t mean the story isn’t true, but the reader can factor motive into his judgment. But without knowing who the sources are, readers are like the proverbial blind men touching different parts of an elephant. Each describes a different animal. The Mueller probe is the most important investigation in a generation and is casting a cloud over a presidency. Yet many important things we supposedly know about it come from sources whose motives and honesty can’t be verified. If this were a probe involving a third-level bureaucrat, assassination-by-leak would be distasteful but not as meaningful. But this is the presidency, and even Trump haters should be appalled at the shoddy process. Is that true? Is the report the end of it? Enough questions. It’s time for answers. If you are a terrorist, peace is dangerous. Leaders from Hamas are outraged that the Saudi crown prince is recognizing Israel’s right to exist. The remarks are noteworthy but hardly radical — unless your aim is to destroy Israel. Somehow I don’t think this is what Martin Luther King Jr. had in mind.